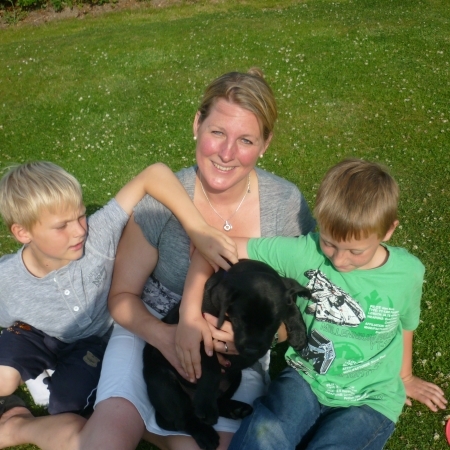 Children – We were really worried whether the boys would know where to draw the line with their rough and tumble. In reality Angus is one of them. 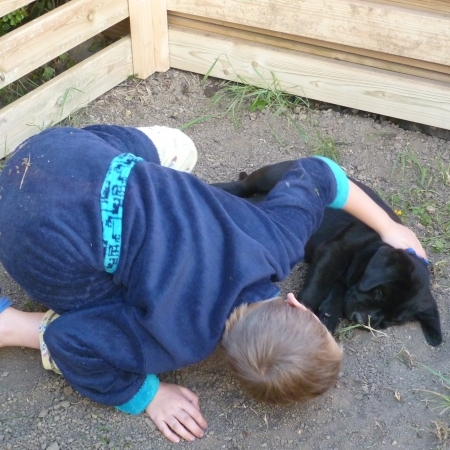 He makes it clear through his body language when he’s had enough but neither dog nor boys ever go beyond a… Read MoreChildren – We were really worried whether the boys would know where to draw the line with their rough and tumble. In reality Angus is one of them. He makes it clear through his body language when he’s had enough but neither dog nor boys ever go beyond a certain point. It’s quite moving how they turn to hug Angus when they’re upset and Angus turns to us to lick our faces when things aren’t going to plan. Everyone I met outside puppy class told me what a well-natured dog I had. Angus would roll over and literally have his tummy tickled at any opportunity. Children coming to the house were first scared at his size so we kept him in his crate. 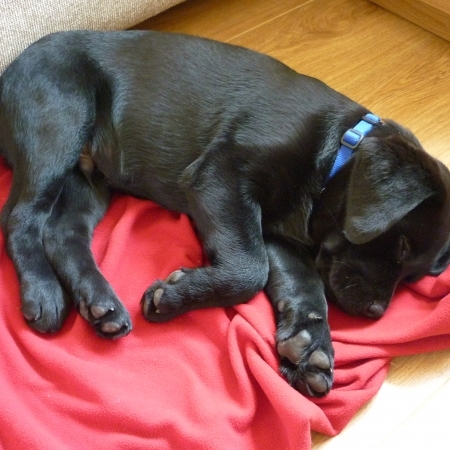 After a whil… Read MoreEveryone I met outside puppy class told me what a well-natured dog I had. Angus would roll over and literally have his tummy tickled at any opportunity. Children coming to the house were first scared at his size so we kept him in his crate. After a while our boys always want him to join in so they let him out and the guests frequently have their feet or faces licked. Occasionally people don’t like dogs around and that’s ok. Angus has to go back in his crate and whinge a bit as he isn’t involved in the play. 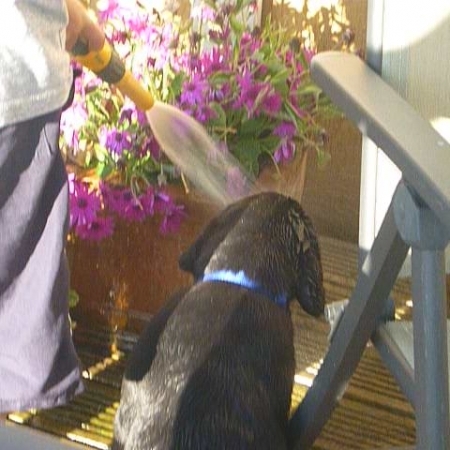 Puppy training – OMG! 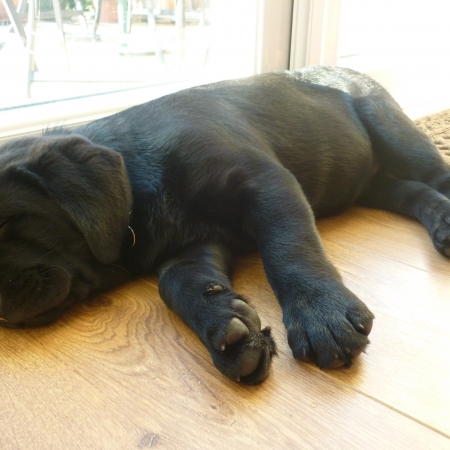 Angus is on the large side – as is his dad, Indie – and I have never had a dog before. 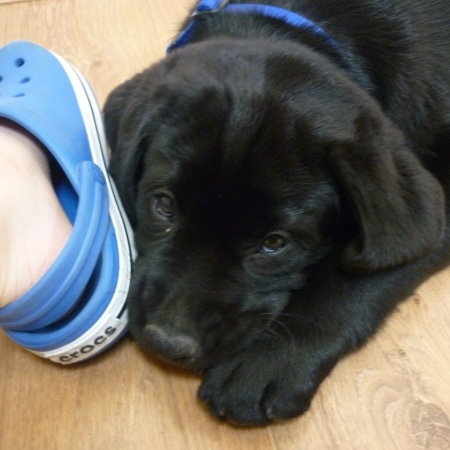 We went to the local dog classes asap after his injections. There were some rather small dogs, whose owners didn’t look too impressed with us. 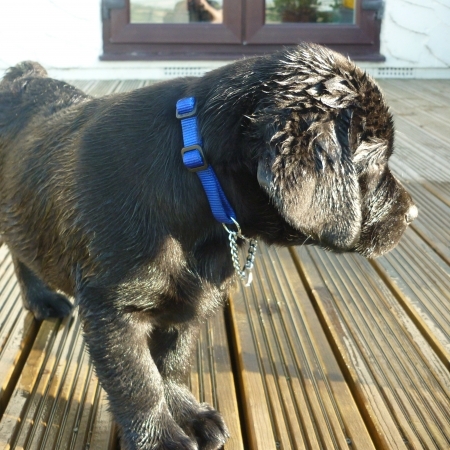 … Read MorePuppy training – OMG! 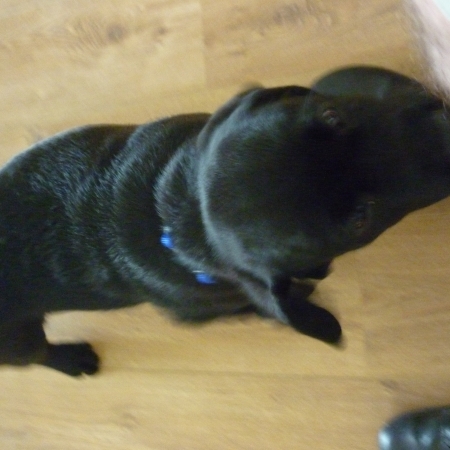 Angus is on the large side – as is his dad, Indie – and I have never had a dog before. 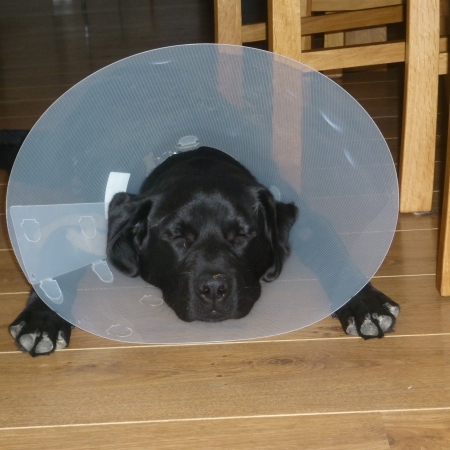 We went to the local dog classes asap after his injections. There were some rather small dogs, whose owners didn’t look too impressed with us. The trainer herself didn’t seem impressed with me, either. I hadn’t realised that I was meant to hold the treat in my left and the lead in my right hand while giving commands and keeping my boisterous puppy away from the other puppies. Frustration all around. 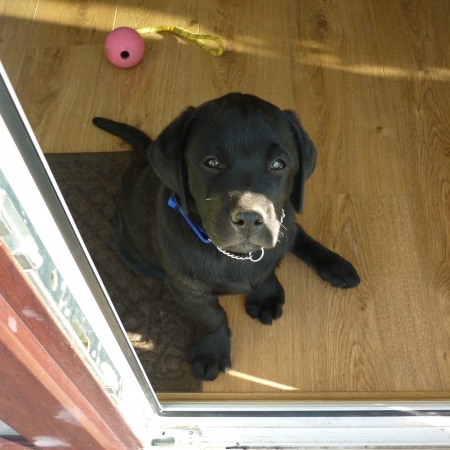 We called him Angus as we were going to have a puppy that the breeder had called Angus when our oldest son was one year old. Good job we didn’t! 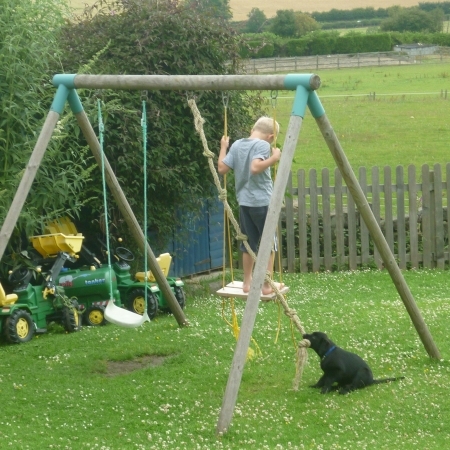 With hindsight, I couldn’t have coped with a toddler, a baby and a puppy. 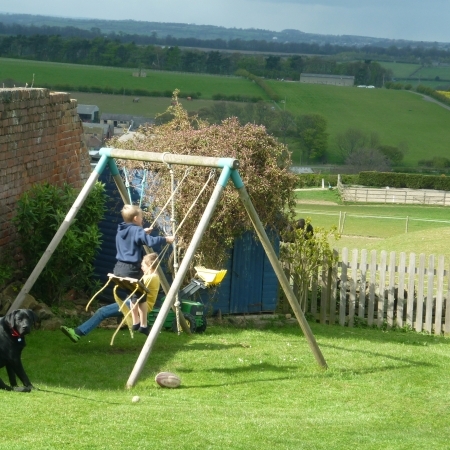 I saw my friends with dogs and tod… Read MoreWe called him Angus as we were going to have a puppy that the breeder had called Angus when our oldest son was one year old. Good job we didn’t! With hindsight, I couldn’t have coped with a toddler, a baby and a puppy. I saw my friends with dogs and toddlers but I think that the difference is that the dogs were trained before they had the children. I felt bad for going back on my word on Angus (the original puppy) but know that I’m doing a much better job with my kids and the puppy now that the children can join in training the dog and walking him properly. 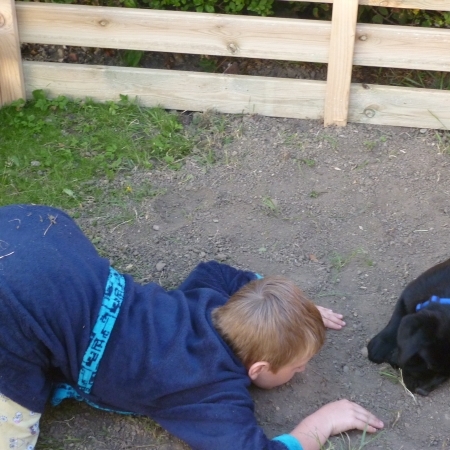 First visitors: both boys (8 & 7 at the time) invite their best friends to meet Angus – not all in one go, of course, but within 24 hours of each other. We couldn’t really exclude their parents and siblings so they all came along. 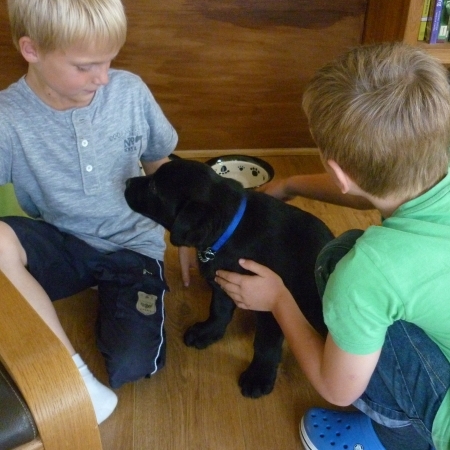 Angus wasn’t phased at… Read MoreFirst visitors: both boys (8 & 7 at the time) invite their best friends to meet Angus – not all in one go, of course, but within 24 hours of each other. We couldn’t really exclude their parents and siblings so they all came along. 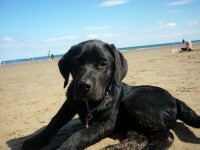 Angus wasn’t phased at all- what a cool dude! 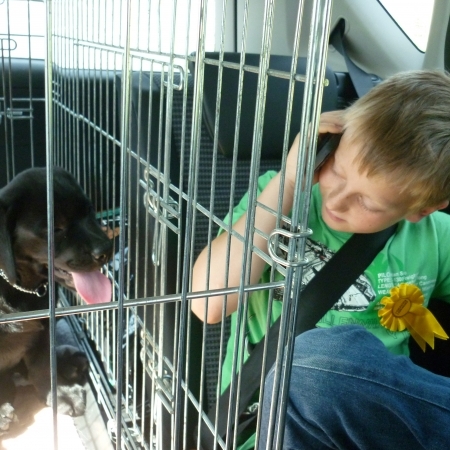 First day, driving home: Everything prepared, pick-up time arranged to suit Angus to fit in with his routine. Angus sick on the way home – most definitely due to my bad driving! Oldest son and I clean up as best we can but this is soon forgotten. Angus… Read MoreFirst day, driving home: Everything prepared, pick-up time arranged to suit Angus to fit in with his routine. Angus sick on the way home – most definitely due to my bad driving! Oldest son and I clean up as best we can but this is soon forgotten. Angus settles in without a problem whatsoever. First birthday this week – what a year! As our oldest son put it: we’re complete as a family now that we’ve got Angus.